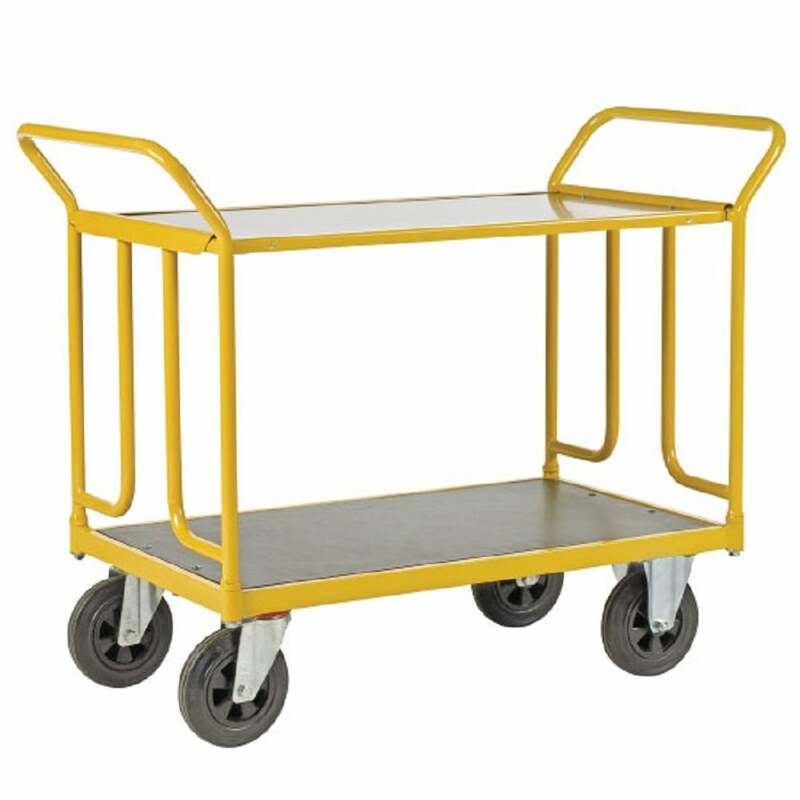 Removable shelf and end panel - unlock to create a platform truck. Firm loading platform truck manufactured from welded tube and box section steel. Finished in a UV proof Yellow powder coated paint for durability. Removable end panels give a number of combinations. Waterproof finish plywood shelf and platform. Available with or without brake. Wheels: 200mm Dia. Solid rubber tyred roller bearing, two fixed two swivel.